There is one word continuously used to describe Singapore - "Unique." Bursting with energy, this dynamic city boasts a unique blend of culture, cuisine, arts and architecture, and incorporates the finest of both East and West. In a single day you can experience both past and future as you seek out one of the many attractions then circle back and revel in the city with some of the most beautiful and futuristic buildings and skyscrapers in the world. Finish off your excitement with a peaceful retreat into one of the many acclaimed rejuvenation and body spas. 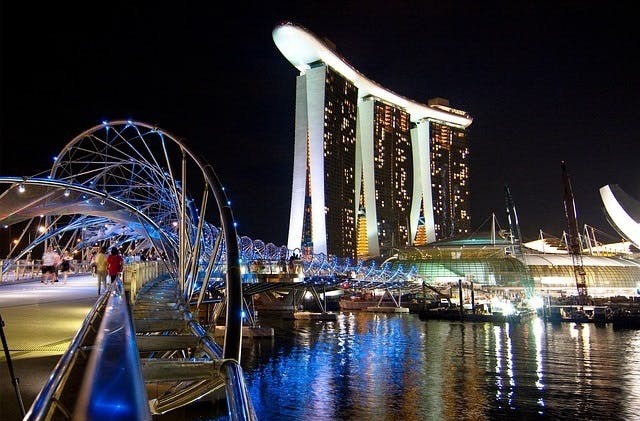 From beginning to end your trip to Singapore will be one of the more memorable experiences of your life. 84 airlines operate into Singapore. A few of them are airberlin, Virgin Atlantic Airways, Jet Airways, Sri Lankan Airlines, Dragonair, AirAsia X, ANA plus more. The closest hotel to Singapore airport is The Ambassador Transit Hotel which is within a kilometre away. Singapore has the UTC offset of 28800.